It seems hard to believe, but the Dexter District Library building on Alpine Street turns 10 years old in 2019. 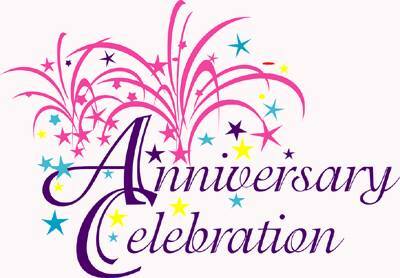 We will be celebrating this milestone on Sunday, May 5 from 2:00 to 4:00 pm with an open house for the community. We will have refreshments and music from a small group of Dexter Chamber Orchestra members. The Library staff is working on a number of displays to highlight the changes and accomplishments we have experienced in the last decade. The best news is, the Library remains a hub of community activity, greeting approximately 175,000 visitors each year. We opened the new facility on March 9, 2009 after three years of planning, land acquisition and construction. Everyone is welcome to attend this fun event, registration is not required. 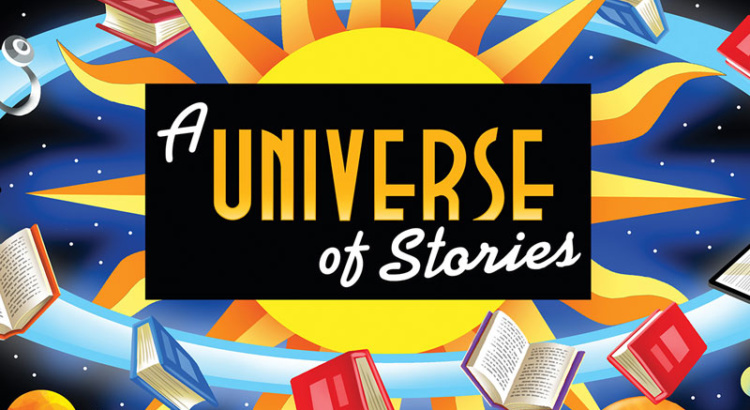 Register for this year’s Summer Reading Program “A Universe of Stories”, there are book clubs for adults, teens and kids of all ages. The slogan “A Universe of Stories” was chosen to inspire everyone in the Dexter Community to dream big, believe in themselves, and create their own story. Doug Scheer Presents “Take Me To Your Readers” comedy and magic show. Comedy and magic, kids love it but sometimes they don’t realize that magic is everywhere — especially in the library. This 45 minute program full of hilarious laughs and audience participation is for all ages. Following the performance, head down to Farmers Market for some light refreshments and a fun game of kick ball in the park. Everyone is welcome. Teens in grades 7 through 12 are invited to get involved with the Library by attending our Teen Advisory Group (TAG) meetings. Help plan programs, organize community service projects, and volunteer at Library events. This is a great opportunity to build up your resume and obtain volunteer hours. Registration is required beginning Saturday, May 11, pizza lunch provided. Summer Story Times are drop-in and held on Mondays and Thursdays at 11:00 am in the lower level meeting room. This program is geared for ages 6 and under but everyone is welcome to attend one or both sessions. Daycare centers may attend Summer Story Times but are asked to arrive early. Each session lasts approximately 30 minutes. Summer Story Times for children include picture, pop-up and interactive books, flannel-board stories, songs, puppets, finger plays, crafts and other activities that encourage a love of reading to your child. These events are free and open to the public. Book appreciation group for kindergarten through 2nd grade. We’ll share stories, have snacks and do activities. This month’s theme is “Space”. Registration is required beginning Thursday, May 9. Teens in grades 6 through 12 are invited to join us for monthly MTG games and pizza. Prizes awarded to top players. Registration is required, beginning May 17. Co-sponsored with SRSLY Dexter. An annual event at Dexter District Library, we will host a large variety of trucks and emergency vehicles for children and adults of all ages to experience, rain or shine. The parking lot will be closed during this event to allow freedom to browse, tour and talk to the owners and operators of the wonderful machines that make our lives easier and safer. Bring your camera, there will be plenty of photo opportunities with the vehicles and our three special guests. Everyone is welcome. Tweens and teens in grades 5 through 12 are invited make their own sand art creation and enjoy an ice cream sundae with your choice of tasty toppings. Registration begins Monday, May 20. Kids and tweens in grades 3 to 8 are invited to explore the wonders of the night skies from the comfort and security of Dexter District Library. This portable, inflatable, mylar starlab brings a star-filled planetarium to life. Registration is required and limited to kids going into grades 3 through 8. Kids may register for just one program beginning June 1. This is a book discussion group for kids in grades 3 through 4. This month we’re reading Knights vs. Dinosaurs by Matt Phelan. Registration begins Thursday, May 16. This is a book discussion group for grades 5 to 6. Read the book and be prepared to answer trivia questions for a chance to win a prize. We will discuss the book, enjoy a snack, and this month we will do a craft. Stop by the Youth Reference Desk for a copy of the book: Space Case by Stuart Gibbs. Registration begins Thursday, May 16. The Secretary of State Mobile Office will be in Dexter to serve area customers on Friday, June 28. The office will be open 10:00 am to 2:00 pm. Customers may renew their driver’s license or register to vote, quickly and easily, right on the spot. Other services offered by the Mobile Office include instant titles, address changes, signing up on the Michigan Organ Donor Registry and much more. Residents can also ask questions about services. Dexter resident, Lori Fithian, has been facilitating drum circles and leading workshops for many years. Her program has been a favorite at the Library. A Drummunity circle is a word Lori invented for the community-building that happens when people come together around a circle of drums. You won’t believe your ears when you hear the group playing together – on everything from hand drums, pickle buckets, salad bowls to muffin tins. Musical experience is not necessary. This is a high energy, interactive, fun and empowering event for all ages. Teens and tweens in grades 5 through 12 are invited to make retro crafts with perler beads, Shrinky Dinks and more while watching the 1980’s classic The Princess Bride. Snacks provided. Registration begins Saturday, June 1. Kids in grades K through 8 are invited to spend an afternoon making their own Lego creations while visiting with old friends and making new ones. Everyone is welcome – Legos will be provided by the Library. Registration is not required. 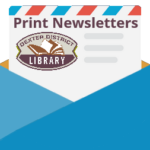 Show your Dexter District Library card and receive a free ice cream cone or cup. There will be a variety of crafts on the lower level for all ages. Musical Folktales is an upbeat concert of interactive stories, beautiful music, humor, interesting musical instruments and hands-on activities. The Storytellers are Audrey and Bob Allison, who use voice and vocal effects to captivate young audiences. Their music spans the globe from Australia to Brazil to the Caribbean Islands with some familiar American tunes as well. Adults and kids of all ages are welcome, registration is not required. Teens and tweens in grades 5 through 12, stop by the Library and learn to paint. Follow step-by-step instructions to make a Starry Night painting and then add your own touches to make it unique. No painting experience needed, but be prepared to get creative. Registration begins Monday, June 17. Kids in grades 1 through 4 are invited to turn a mason jar into a magical dwelling for a fairy or a dragon. Registration begins Monday, June 10. Discover the social and physiological challenges posed by extended stays in space, and see the systems used to sustain life aboard the International Space Station (ISS). Young astronauts work as a team to complete a challenge that simulates the conditions experienced during a spacewalk and learn about current scientific experiments taking place in space.Registration is required beginning Monday, June 17. This is a drop-in program for grades K through 8. Several creativity stations will be set up for kids to enjoy using a variety of building products such as Lincoln Logs, Legos, Construx, Hexabits and more. Each month will feature different challenges, crafts and building materials. Registration is not required. Blast off with Baffling Bill into a Universe of Magic and Wonder. See a portable black hole transport objects back in time, watch Gus the Bunny launch a magic wand into space and Assistant Kym levitating into space on a Magic Carpet. This 40 minute show encourages summer reading through magic, audience participation and laughter. All ages, everyone is welcome. Meet live bats from around the world presented by staff from the Leslie Science and Nature Center. As the only flying mammal, bats have amazed and inspired people for a long time. Learn about the diversity of bats, how they survive and their many roles on our planet. Registration is required beginning Monday, June 17. Kids may only register for one program. Kids, teens and tweens of all ages are invited to stop by Farmers Market to paint a rock or two, and hide them around town for others to find. Drop by any time between 11:00 am and 12:30 pm. Book appreciation group for grades K through 2. We’ll share stories, have snacks and do activities. This month’s theme is “Dinosaurs”. Registration is required beginning Thursday, June 20. Major Tom “Buzz” Aldrin had to give up a career in the Air Force because he found out that he was, of all things, afraid of heights. As a boy he had once dreamed of flying in a spacecraft to explore the final frontier. Now he settles for a career in real estate. He hasn’t done very well with this either and now he is desperate to at least rent a space in town. Along comes Neil, who loves space, science fiction and everything that has to do with worlds outside of our own. He rents the space for one day. Where Major Tom only sees a vacant storefront, Neil recreates scenes from Star Wars, Guardians of the Galaxy and he even revisits the first moon landing and moonwalk. Both Tom and Neil learn a lot about saying yes to your imagination. All ages, all audience participation, everyone is welcome. Teens in grades 6 through 12 are invited to join us for monthly MTG games and pizza. Prizes awarded to top players. Registration is required, beginning June 21. Co-sponsored with SRSLY Dexter. Children ages six and under, along with their caregivers, are invited to a special PAW Patrol party. The Library will become Adventure Bay for the day and children will explore a variety of stations with open-ended creative activities related to the rescue dog characters. Registration is not required. Caregivers must stay with their children. Grades 5 through 12 are invited to make a variety of galaxy-themed crafts during this fun workshop with artist Linda Polo. Registration begins Monday, July 1. The Flying Aces Frisbee Team entertains with information, humor, athletic skills, amazing feats, tricks and just plain silliness. The show ends with an audience participation contest. This event is for ages 6 and up, registration is not required. Kids in grades K through 4 are invited to decorate a small Frisbee using Sharpie markers and foam stickers. Registration begins Monday, June 24. This is a book discussion group for kids in grades 3 through 4. This month we’re reading Bob by Wendy Mass. Registration begins Thursday, June 27. This is a book discussion group for grades 5 to 6.Read the book and be prepared to answer trivia questions for a chance to win a prize. We will also discuss the book and enjoy a snack. Stop by the Youth Reference Desk for a copy of this month’s book: Artemis Fowl by Eoin Colfer. Registration begins Thursday, June 27. The Universe is full of past, current and future scientific discoveries. Join us as we explore the known and unknown world of physics in space and help us simulate concepts that are often too big, too dark, or too far away to see. Recommended for ages 6 and up, registration is not required. Teens and tweens in grades 5 through 12 are invited to meet Faith Boyce from Petite Fleur Skin Care of Dexter who will teach you how to make your own bath bombs using natural ingredients in this fun make-n-take. Registration begins Monday, July 1. Do you have what it takes to create a cupcake masterpiece inspired by your favorite book or literary character? Bring your talent and imagination to our final Teen & Tween Summer Reading Program event and we’ll supply the rest.Prizes awarded in three categories. Registration begins Monday, July 1. It’s the Summer Reading Program Wrap-Up. Join us for a fun-filled hour of live music, singing, dancing and audience participation with Bev Meyer, The Music Lady. Children of all ages are welcome. Following the program, Marc “The Balloon Meister” will be at Farmers Market making balloon animals for everyone. Refreshments will be served. Pick up your book bag full of surprises beginning July 30. The Final Prize Drawing will be held on Monday, August 12. Kids in grades K-4 who have attended one or more of our summer book clubs are invited to celebrate the end of the Summer Reading Program with fun slime activities and snacks.Registration begins Monday, July 8. It’s been five years since everything was awesome and the citizens are facing a huge new threat: Lego Duplo invaders from outer space, wrecking everything faster than they can rebuild. Rated PG – 107 minutes. Registration for Fall Story Times begins Monday, August 26. Fall Story Times for toddlers and preschoolers will start on Monday, September 16 and run until Thursday, November 7. Registration is required, parents or caregivers of children may register in person at the Library or by calling 734-426-4477. Space is limited so registration will be on a first come first served basis. Children 18 months to 3 years of age may sign up for one Toddler Story Time. Toddler Story Times are held on Mondays, Tuesdays and Wednesdays at 10:30 am. Children under 18 months may attend, however books and activities are geared for toddlers. Children 3 to 5 years of age may sign up for one Preschool Story Time. Preschool Story Times are held on Mondays or Tuesdays at 11:30 am. Combined Toddler/Preschool Story Times will be offered on Wednesdays at 11:30 a.m. Drop-In Story Times for all ages will be offered on Thursdays at 10:30 am in the lower level meeting room from September 20 to November 9. Infants are welcome at story times with their siblings. Parents or caregivers are required to attend. Each session lasts approximately 30 minutes. Fall Story Times for children include picture, pop-up and interactive books, flannel-board stories, songs, puppets, finger plays, crafts and other activities that encourage a love of reading to your child. Spring Story Time Registration begins on Monday, March 11 at 9:00 am. Spring Story Times for toddlers and preschoolers will start on Monday, March 25 and run until Thursday, May 16. Registration is required, parents or caregivers of children may register in person at the Library or by calling 734-426-4477. Space is limited so registration will be on a first come first served basis. Children 18 months to 3 years of age may sign up for one Toddler Story Time. Toddler Story Times are held on Mondays, Tuesdays and Wednesdays at 10:30 am. Children under 18 months may attend, however books and activities are geared for toddlers. Children 3 to 5 years of age may sign up for one Preschool Story Time. Preschool Story Times are held on Mondays or Tuesdays at 11:30 am. Combined Toddler/Preschool Story Times will be offered on Wednesdays at 11:30 a.m. Drop-In Family Story Times for all ages will be offered on Thursdays at 10:30 am in the lower level meeting room from March 28 to May 16. Infants are welcome at story times with their siblings. Parents or caregivers are required to attend. Each session lasts approximately 30 minutes. Spring Story Times for children include picture, pop-up and interactive books, flannel-board stories, songs, puppets, finger plays, crafts and other activities that encourage a love of reading to your child.